It was a hometown screening for Frankie Valenti who plays Todd! And a great Q&A article and video interview with our director Wade Gasque at the Cleveland International Film Festival! Both our Los Angeles and New York festival premieres were huge successes. With close to 1,000 people at our Ford Theater screening in Los Angeles, we were the most well-attended screening at Outfest outside of Opening/Closing Nights. Our screening at the Lincoln Center in New York the following week sold out and was capped by a lively Q&A with Wade, Mark and Frankie. Loads of family came out to New York. Hi Moms! And most of the cast and crew attended Los Angeles. It’s been pure magic. We’ve got festivals coming up in cities all around the world. Check out the screenings tab above to see what’s coming up. We’ll be attending as many of these festivals as we can. 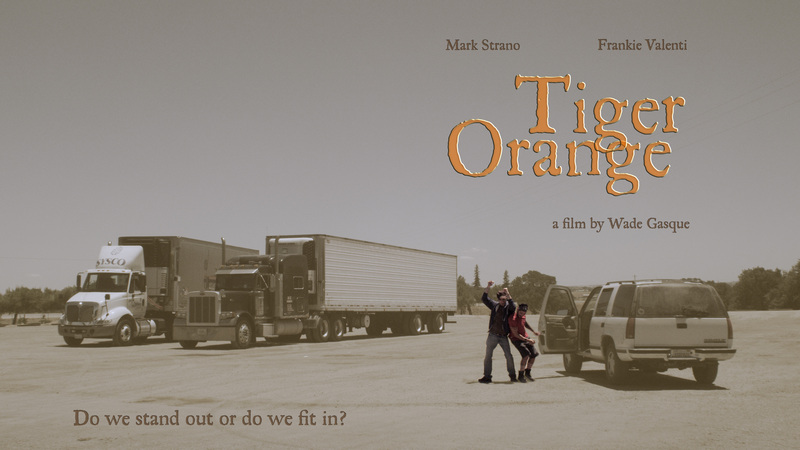 “Tiger Orange” – our new title! More news to come. We’re closing in! !